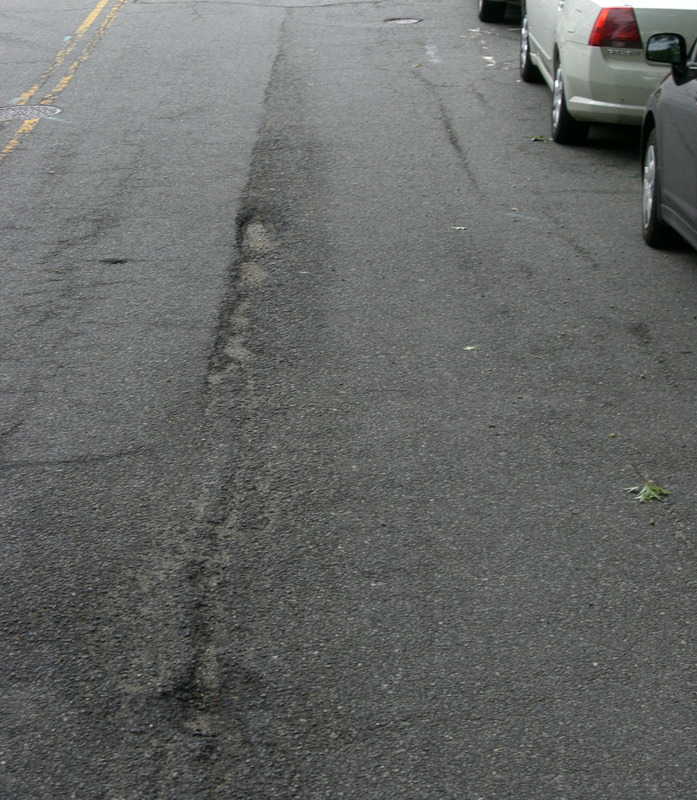 Ode Street Tribune: bumpy bottom of N. Ft. Myer Dr.
bumpy bottom of N. Ft. Myer Dr. Some potholes have opened at the bottom of N. Ft. Myer Dr., about 10 yards before its intersection with Arlington Blvd. You may be more worried about hurricanes, earthquakes, and infernos. But don't forget the small, quiet details of everyday life. These potholes could shake up a car or take down a bicyclist. I've reported them on Arlington County's handy pothole reporting form.